Hero Arts Fancy Die Paper Layering DRAGONFLY with Frame DI454 at Simon Says STAMP! DI454 This item is on reserve until If you would like to reserve this item now, you may purchase it now with the rest of your order. We will hold your order now and ship your entire order as soon as this item is back into stock. If you would like your order to ship now, please place this item on a separate order. Success, Hero Arts Fancy Die Paper Layering DRAGONFLY with Frame DI454 has been shared! These beautiful intricate dies do not coordinate with any specific stamps, but instead are stand-alone cutters that produce beautiful cut-outs on paper. 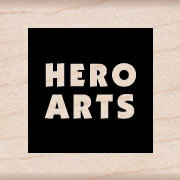 They are made in the USA, and work well with Hero Arts line of stamps and papers!